Meet some of the members and volunteers of The Academy in this blog post from their website. The Blue Knights are holding their annual send-off show Friday at 7 p.m. local time at the stadium at Adams City High School in Commerce City, Colorado. Check out this video montage with footage captured during the Blue Stars’ spring training. Members of the Bluecoats discuss “hitting the wall” in this behind-the-scenes look at the corps. The Boston Crusaders welcomed an inspirational young man to their rehearsal camp for a day. Get to know the Carolina Crown trumpet section in this new video posted to YouTube. The Cavaliers will put on a free showcase of their 2015 production at Friday’s Fan Appreciation Night at Eastern Illinois University in Charleston, Illinois. Check up on Crossmen’s brass section in the group’s latest spring training update. Guardians are still looking for students to fill spots in the corps’ trumpet, mellophone, color guard and front ensemble sections. 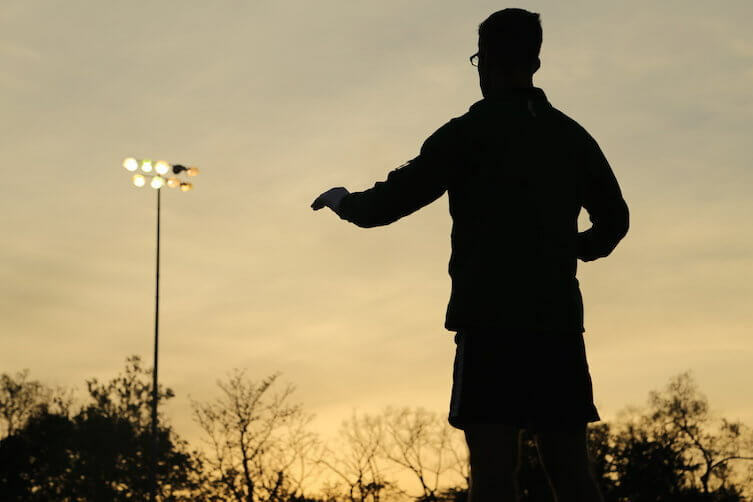 Go behind the scenes with the Oregon Crusaders’ percussion caption supervisor in this short video released yesterday. Get your first look at Pacific Crest and other southern California corps during this sneak preview event Saturday at Wilson High School in Hacienda Heights, California.